By the year 2030, it is estimated that individuals over the age of 65 will account for 21% of the population. As the percentage of the United States population over the age of 65 continues to increase, so do the issues unique to that generation. Older Wiser Learners Series (OWLS) is a four-week program conducted by Ohio State University Extension Family and Consumer Sciences. 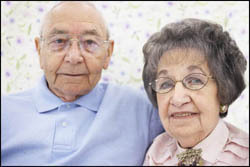 The program is focused on the unique needs of individuals over the age of 65.